Who knew Weight Watchers Meals for the Crockpot could be so easy? Some of the best recipes are those that let the ingredients meld together over time. All of the following recipes are amazing and show you that you don’t have to spend hours in the kitchen to make healthy recipes that help you lose weight. The best tool we have for those recipes is a Crock-Pot. With Crockpot recipes, the flavor transforms into something amazing. The name Crock-Pot actually refers to a specific brand of slow cooker. I actually have a Crock-Pot, but I’ve owned other types of slow cookers, too. Some of the newer brands give you extra options, like the ability to brown the food right in the slow cooker, a step I’ve always had to do on the stove before adding the ingredients into the slow cooker. Of course, you will spend a little more for the extra options, but in my opinion, it really is worth the ability to save time and not having to wash another pan. Though there are countless recipes for slow cooker and crockpot recipes, many of them are pretty high in calories and fat. Have no fear, the Weight Watchers meals below work with the Weight Watchers diet plan. As long as you’re counting those points, you will probably lose the weight. The slow cooker really is a mom’s best friend, too, as your family will love all these recipes, too. As I always say, no one has to know these are Weight Watchers recipes. We’ll keep it our secret. 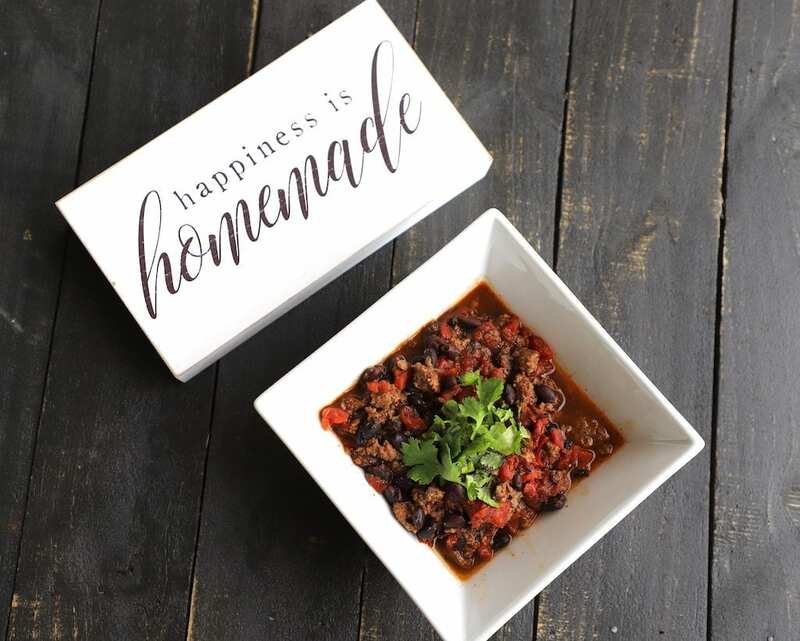 Slow Cooker Chili | Food, Fun & Faraway Places | This is one of our favorite easy recipes. I love putting everything in the slow cooker and having my house smell so good a couple of hours later! Slow Cooker Taco Soup | Recipe Diaries | My daughter loves taco soup. It’s one of her favorite comfort foods! Balsamic Braised Beef | Simple Nourished Living | Beef is always delicious in the Crock Pot. It just falls apart after stewing for hours. Serve with a green veggie. Chunky Chicken Chili | Skinny Kitchen | Chili is a really fiber rich meal, and this one is so easy! Thai Peanut Chicken | Emily Bites | Thai food is one of my favorites. I think this will be one of your go-to Weight Watchers meals for the crock pot! Cauliflower Fried Rice | Skinny MS | Cauliflower is such a versatile vegetable. You can add other veggies in as well for a high fiber, low points meal. Sesame Ginger Chicken | Slender Kitchen | Ginger and chicken go so well together. No more Chinese take-out! This will satisfy that fix for Chinese food. Vegetable Barley Soup | Cookin’ Canuck | This is another one your whole family will love, and it keeps so well. Perfect for dinner and then the next day for lunch. Slow Cooker Chicken and Gravy | Weight Watcher Mom 2 | What could be better than chicken and gravy, ready and waiting when you walk in the door? Delicious! Slow Cooker Gumbo | It All Started With Paint | If there is gumbo on the menu when we’re eating out, that’s always what my husband will order. I love this lower fat and calorie version. 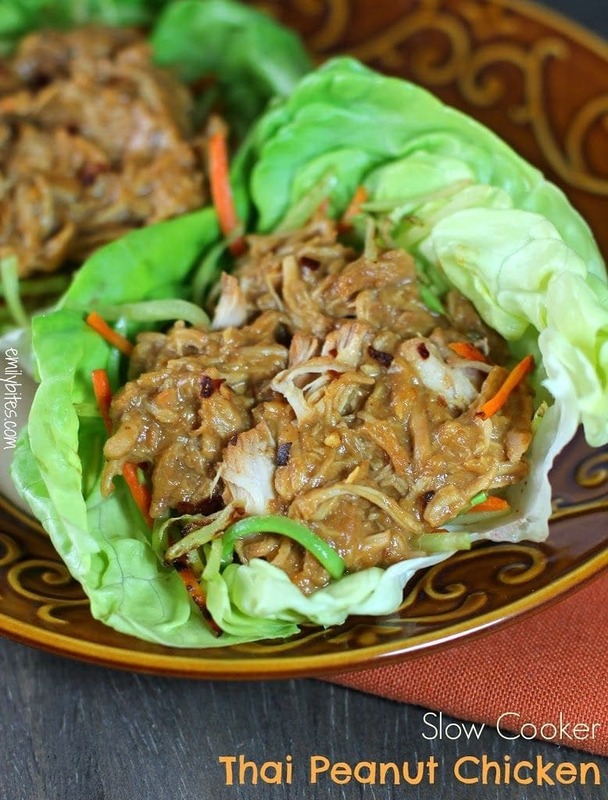 Crock Pot Teriyaki Chicken | Flavorite | We love, love, love teriyaki chicken in my house! Serve this alongside broccoli or stir fried veggies. YUM! Crock Pot Chicken Verde | You Brew My Tea | This is a really authentic recipe, and it makes great chicken tacos, too. Just be sure to count the tortillas. Vegetable Minestrone Soup | Laaloosh | This is the perfect recipe for lunch. Sometimes I think the more you heat it up, the better it gets! Tex Mex Chicken and Beans | Recipe Girl | This one looks so delicious and is ZERO Freestyle Smart Points! Woohoo! Olive Garden Slow Cooker Pasta Fagioli | WW Recipes 7 | Only 5 Smart Points per serving, and a copycat of one of my favorites at Olive Garden. Honey Balsamic Pork | If You Have an Egg | I just love anything with balsamic, and when it boils down like a syrup, it’s such a great condiment. I love the reduction on salad, too! Cuban Style Pork and Sweet Potato Slow Cooker Stew | Weight Watchers | Authentic Cuban food is so good, and I think you’re going to love this one. Looking for more delicious Weight Watchers meals? This Chicken Pot Pie is my latest favorite. Try these Weight Watchers Breakfast Bread recipes if you’re looking for a quick grab and go meal. Who doesn’t love pizza? We’ve got 20 amazing pizza recipes for an easy Weight Watchers lunch or dinner. You’ll love these Weight Watchers Brownie recipes, too! EXTRA TIP: I recently discovered a really cool app that helps with counting calories. This is not a Weight Watchers app, but if you are using recipes for Weight Watchers meals, they are naturally going to be low in calories. I’ve been trying to make my dinners Weight Watchers meals and tracking them in the free LiveStrong My Plate app and it’s been really helpful to me. Give it a try and see if it helps you keep track. Also, if you can find a buddy to do the program with, it really does make it easier. If you can’t find the time or would just prefer to not go to meetings, at least try to find a friend who is doing to program. There you have it! Those are the best crock pot Weight Watchers meals around. My personal favorite is the Tex Mex Chicken, it is so flavorful and saves me loads of time. Which is your favorite? I’d love to pin your recipes too, so please share! Did you click on the link for that recipe Kim? There are only two photos on my post. You have to go to that post to see it. Hope that helps! Hey Kim, it looks like that recipe is gone for some reason. I found several stolen photos today, so that could be why. So sorry! I had to remove it from the roundup. Can’t find the link to any of the recipes. Just brings me to other random pages. I’m not sure why that is, Rebecca. Each link I clicked on took me right to the recipe. Let me know if you are still having problems. What a yummy collection, Kelly. Thank you so much for including my Chunky Chicken Chili recipe. Thank you for sharing it, Nancy! Chili is one of my favorite things. It’s great that you can still eat it while losing on Weight Watchers! I have checked all the links now and they are all working fine, Teresa! The 2nd and 3rd one had to be removed as the websites are no longer there. So sorry! Came for the Weight Watchers Taco Soup and can’t find the recipe! I’ve clicked on several things and none take me to the recipe. 🙁 boo! Sorry I’m just seeing this Samantha. The link seems to be working fine now. I really want the fajita melt recipe. But for 4 days now every time I try the link all I get is…. I am so sorry. Guess I better make that one, Kasey! I have no control when sites are shut down, but I found a bunch of stolen photos, so I am thinking that may be why. Thank you for linking my taco soup recipe! I have looked and I cannot find the recipe for the one’s I would love to cook like the “Zucckini Enchalada’s”. Please help me get the recipe so I can make it., Thanks!! The Healthy Baked Turkey Enchiladas has just been added, Linda. Sorry for your trouble! I made the chicken and gravy,it was sooo good, my husband loved it. I can’t wait to try more of the recipes. I can’t believe they are weight watchers! Thanks for sharing them!? I looked for your Chicken and Gravy and it won’t open up. Is there a problem there that can be fixed? Hi Nancy. These are all recipes from other sites, so there may have been a problem with that particular site. It seems to be fine now. Let me know if you are still having trouble. Thanks for letting me know! I just clicked on the link, Linda, and it’s working fine. I’m not sure why you’re having problems. I’m sorry!